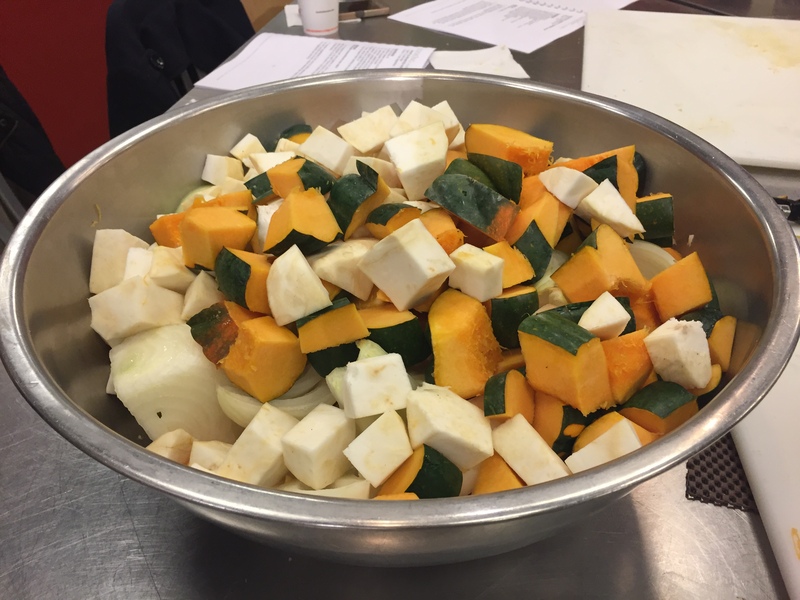 A couple of weeks ago Wellness Studio M members participated in a Autumn Food Fest with Chef Blake Swihart at the Short Hills Kings Cooking School. 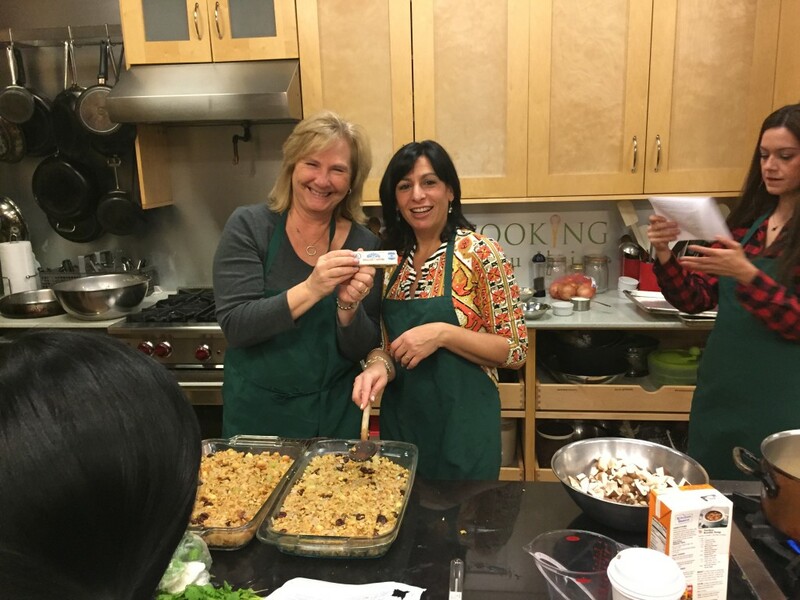 This was a great event that introduced our members to healthy cooking and fine dining. 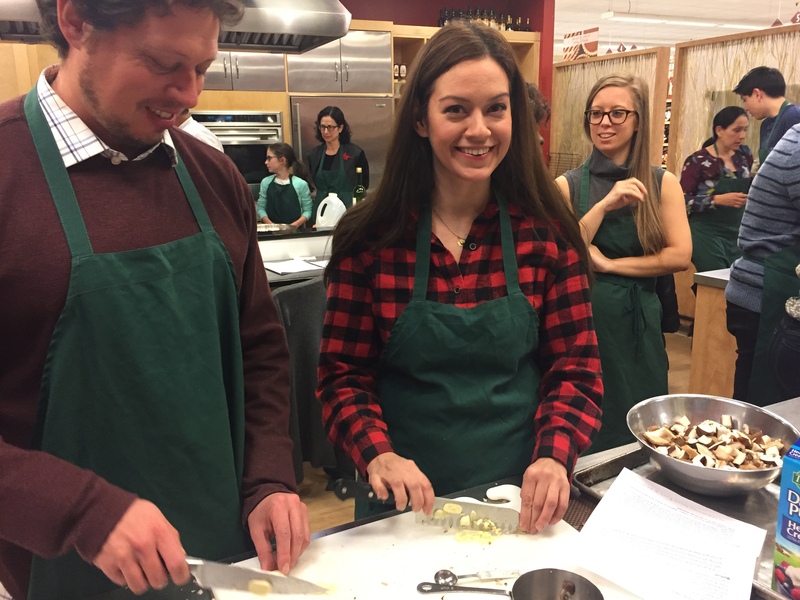 We learned how to make shiitake rillettes, roasted carrot and ginger soup, cornbread stuffing, truffle roasted fall vegetables, and individual fruit crisps just in time for the holidays. 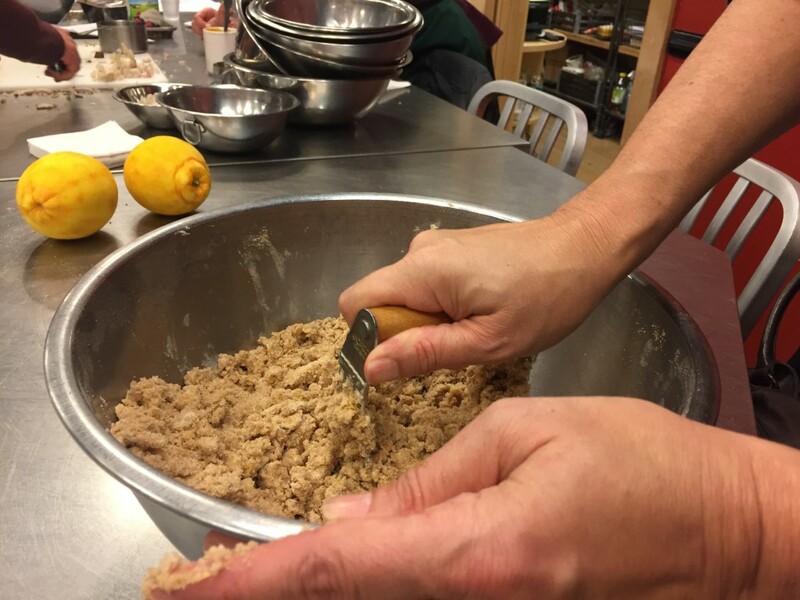 We started with the shitake rillettes. To make this dish you need to sauté shitake mushrooms with butter, olive oil, minced shallots, and mined garlic, add red cooking wine, lemon juice, lemon zest, tomato, fresh parsley, salt and pepper for extra flavor. 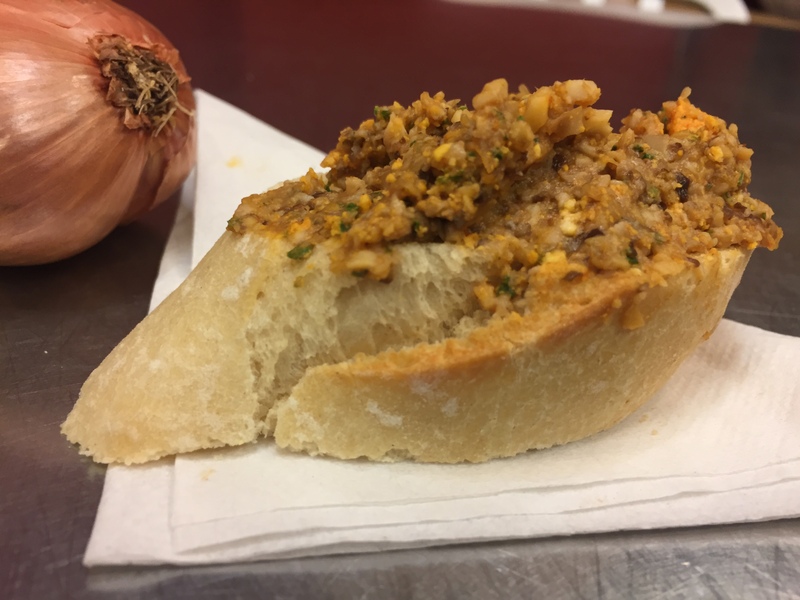 Mix everything in a food processor and serve on a piece of baguette. 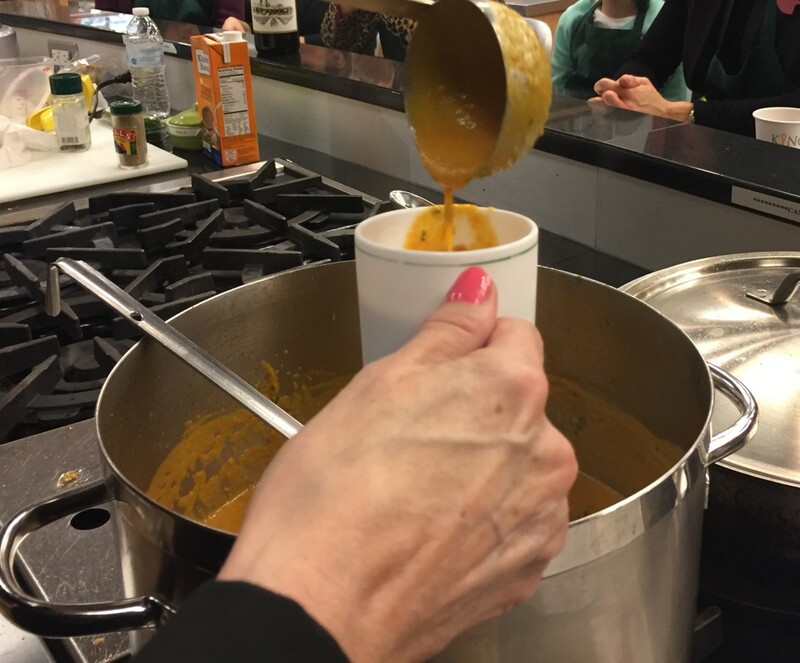 Next we were served roasted carrot and ginger soup. It was unbelievable and very good! 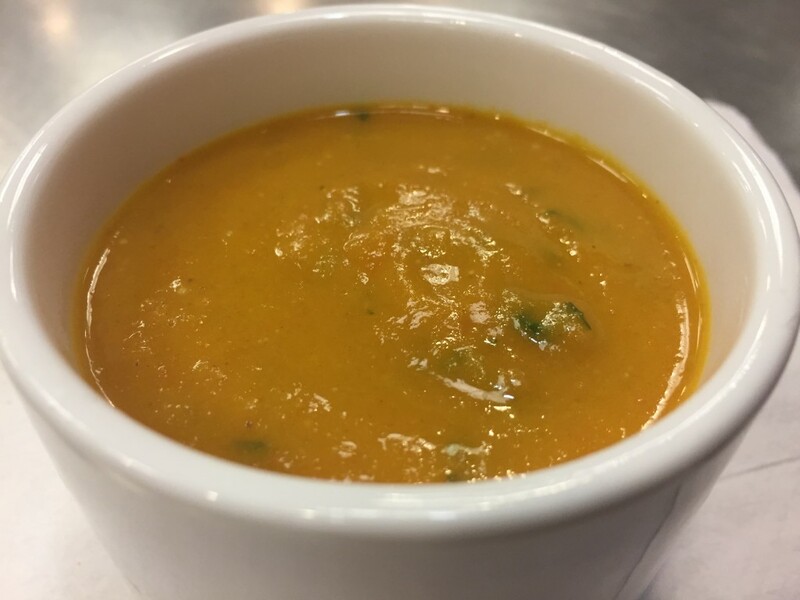 In a bowl, toss together: oil, carrots, onion, garlic cloves, coriander and cumin. 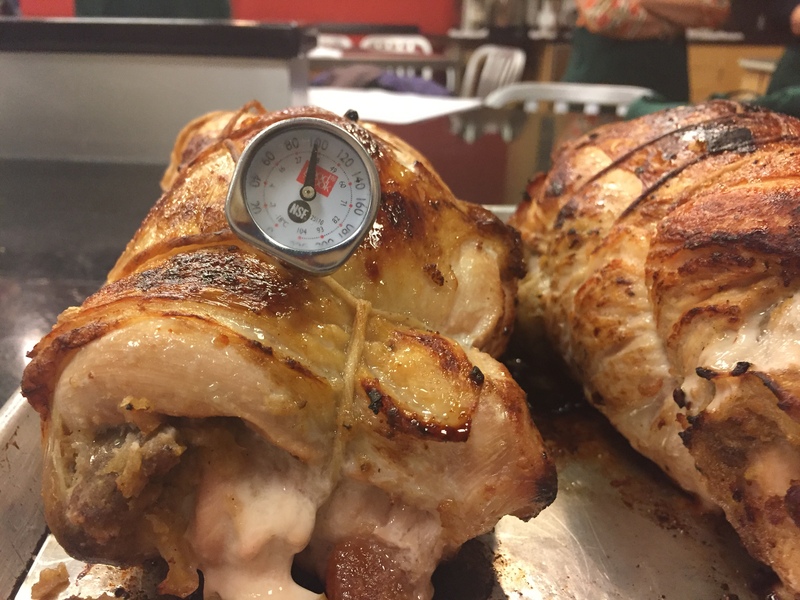 Put it in an oven at 425 degrees and roast for 25-30 min. Next transfer everything to a pan, add ginger, chicken broth, and curry paste, bring to a boil and simmer for another 15 min. Add coconut milk and cilantro, hot pepper sauce and salt. Puree everything and sprinkle with cilantro before serving. 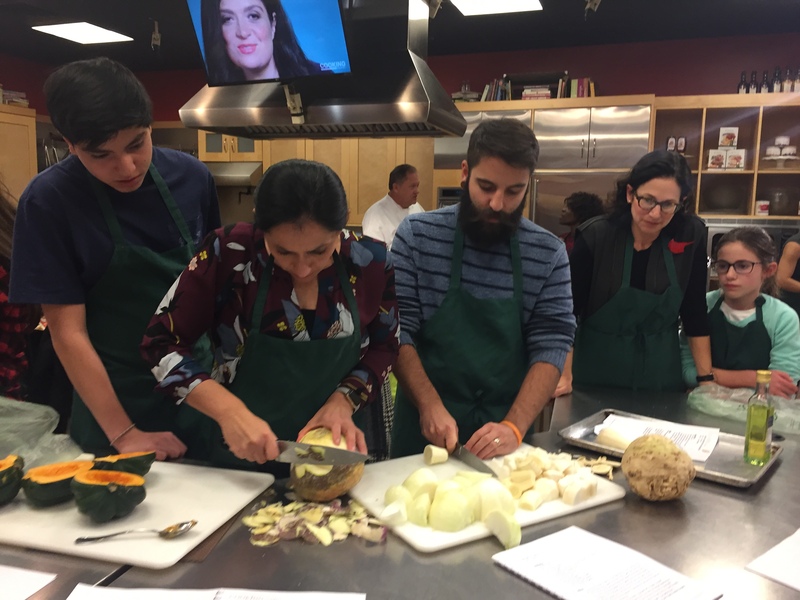 Next we were all assigned to a team and had a task of preparing a dish. Maria and Nick were in charge of the mixed vegetables. 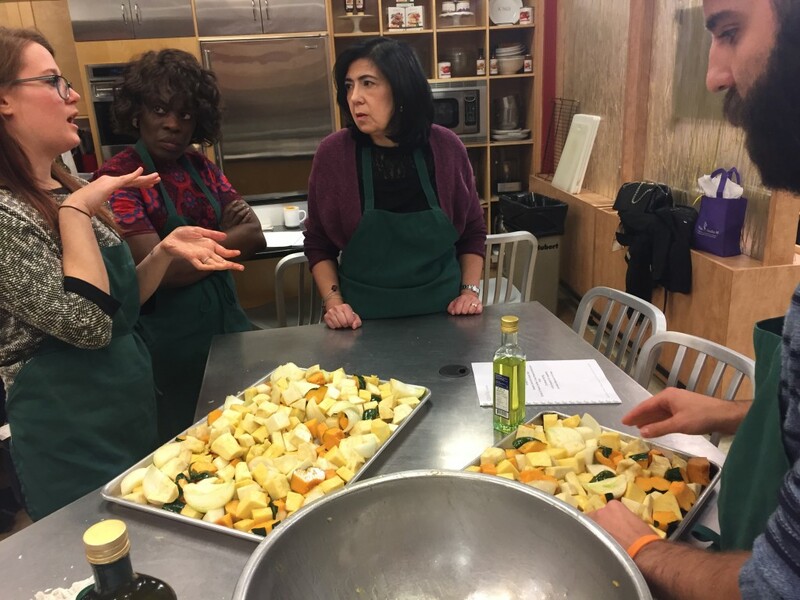 Later they mixed the vegetables with truffle oil and roasted it in an oven at 425 degrees for 25 minutes. 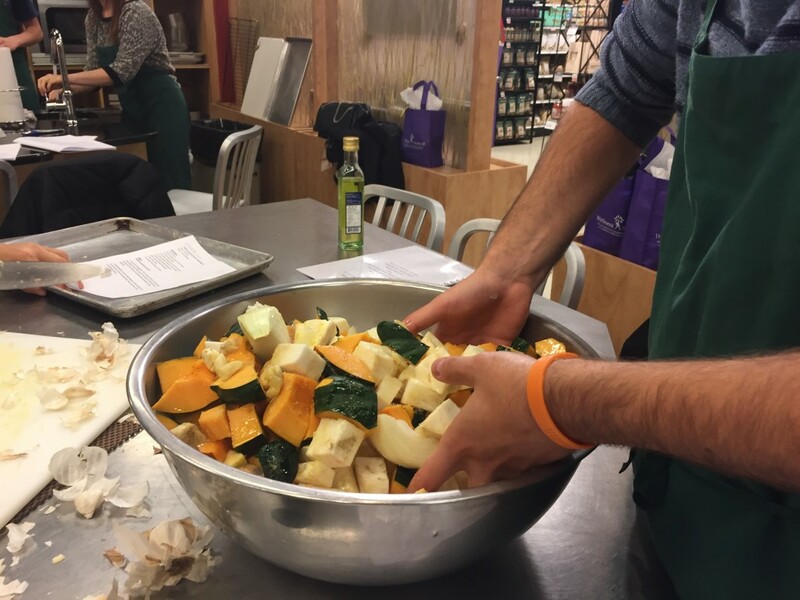 Awesome job Nick mixing the vegetables! 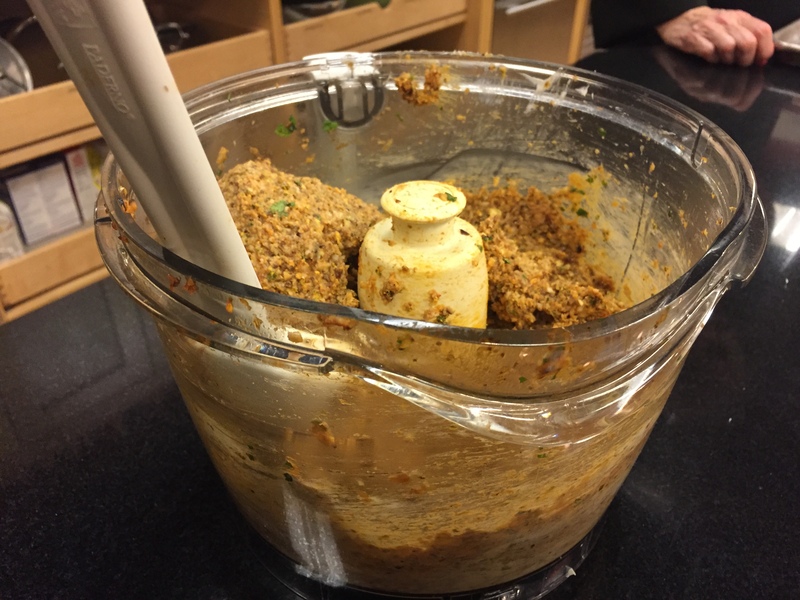 You are a good mixer! 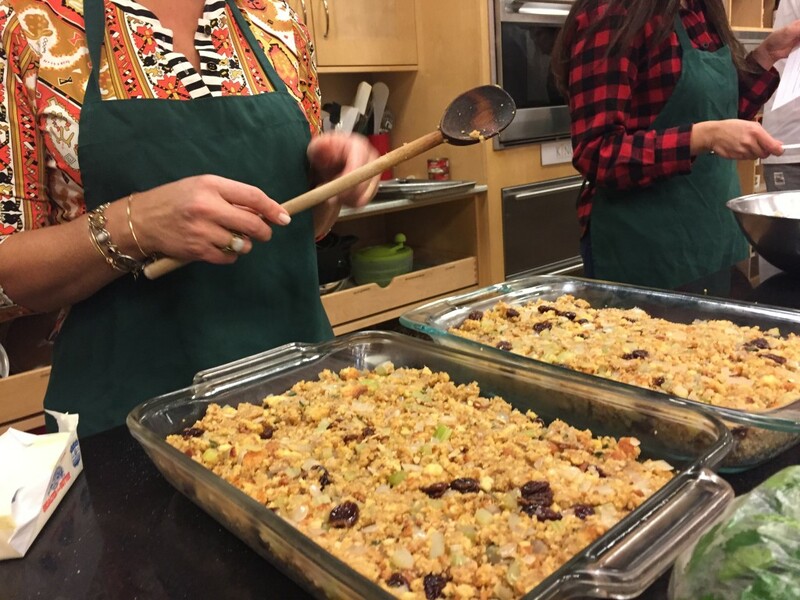 In the mean time Robin and Liz were making pecan sage cornbread stuffing. 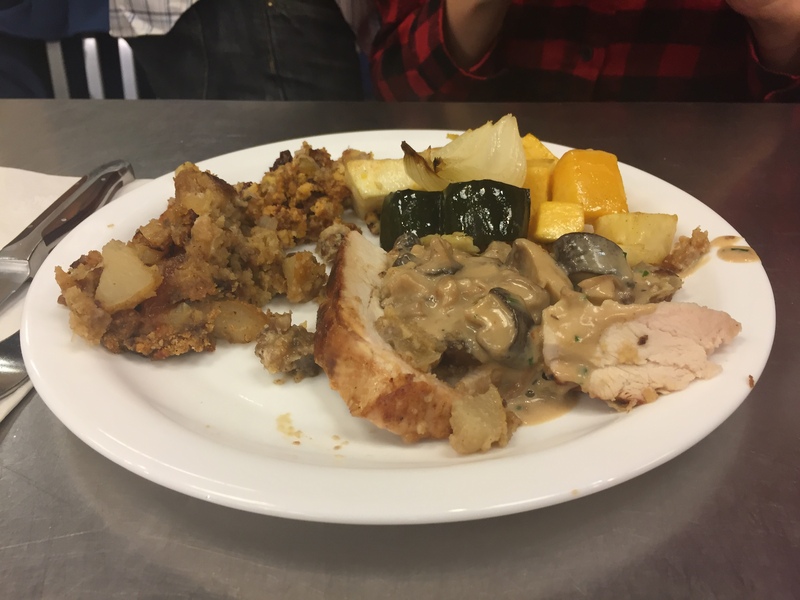 They did such an awesome job that I had to have an extra taste (just the stuffing itself). And they put in a lot of butter. I saw it with my own eyes! 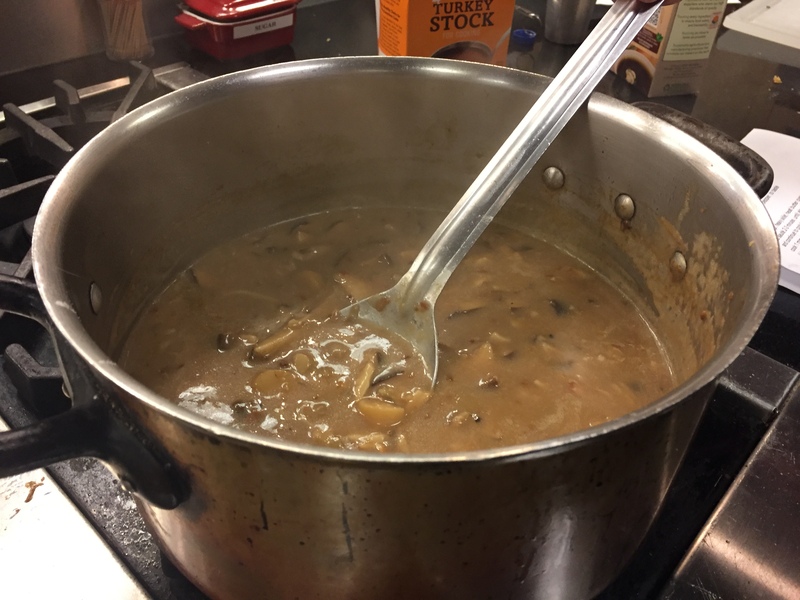 At another table, Melissa and Tim were in charge of the mushroom gravy, while Amber was cheering them on, making sure they have enough stamina to complete the task :). Good job guys! 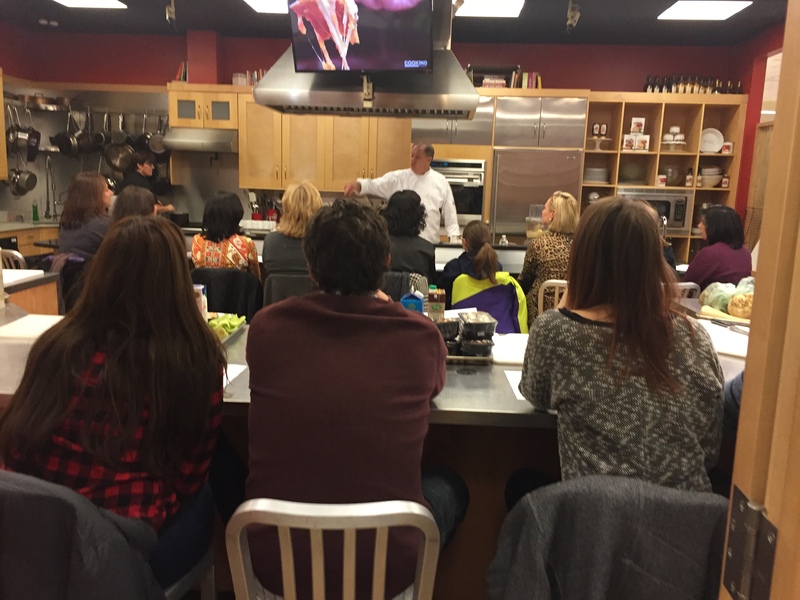 You all could be the next popular top chefs. 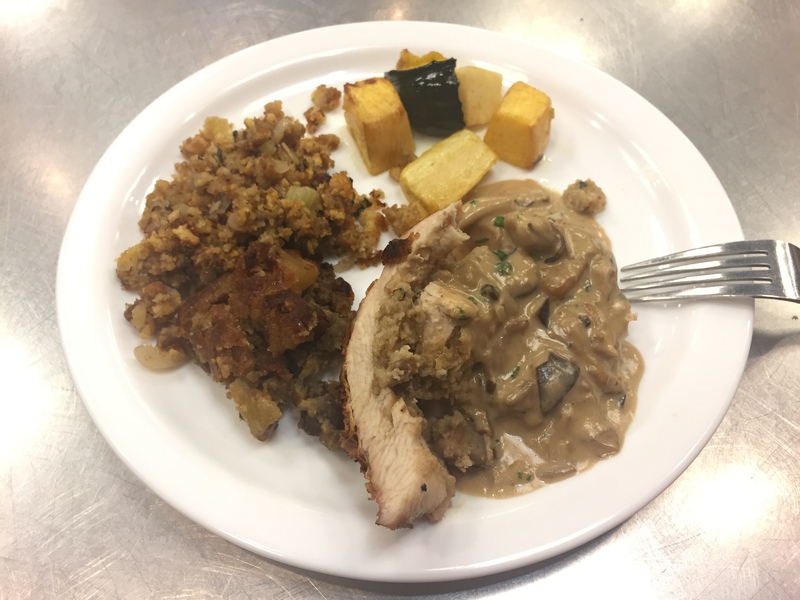 In the middle of the cooking class was the main dish: Blake’s quince & chestnut stuffed turkey breast served with mushroom gravy, cornbread stuffing, and truffle roasted fall vegetables. 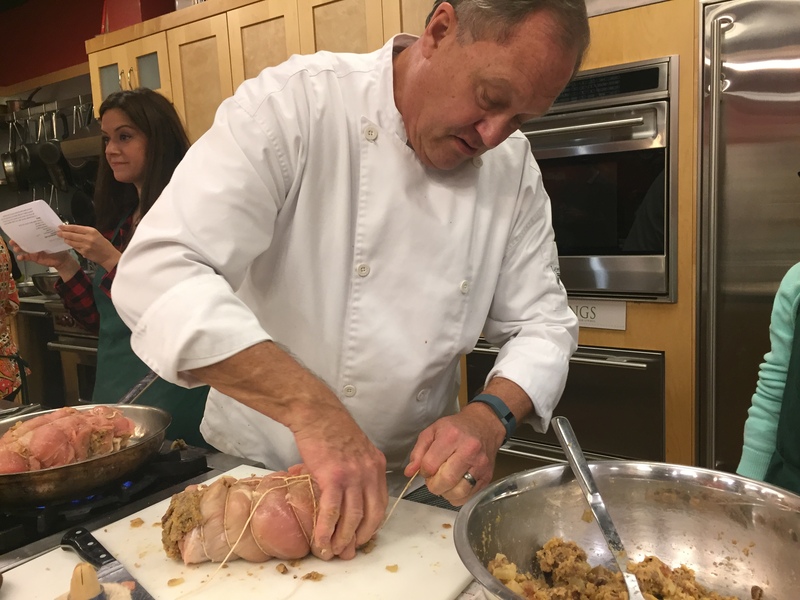 Chef Blake taught us how to stuff and tie the turkey before roasting. Later we baked it in a pan and roasted it in an oven. 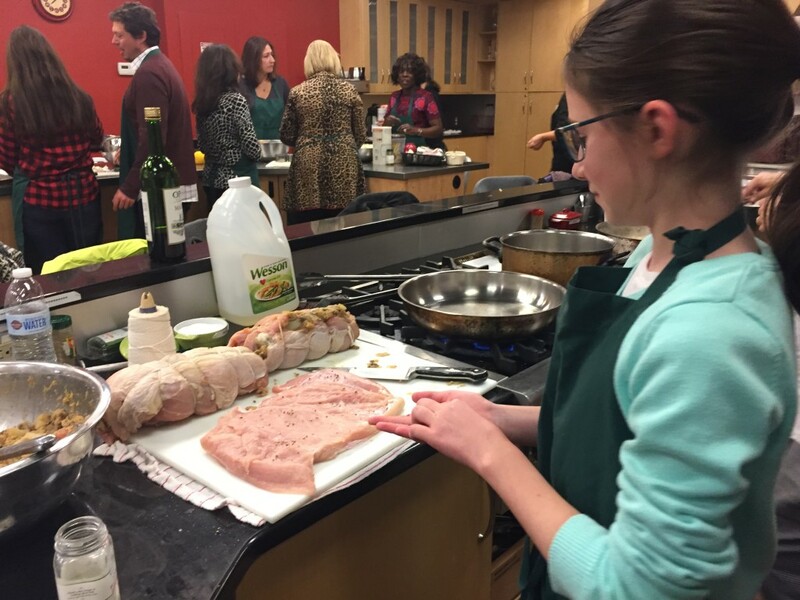 Kate was helping chef Blake to season the turkey and she did an amazing job! At the other corner Rose was convincing AnaMaria and Bola that eating vegetables is good for you :). This is what I always say and nobody listens. Debbie was making topping for the fruit crisp. 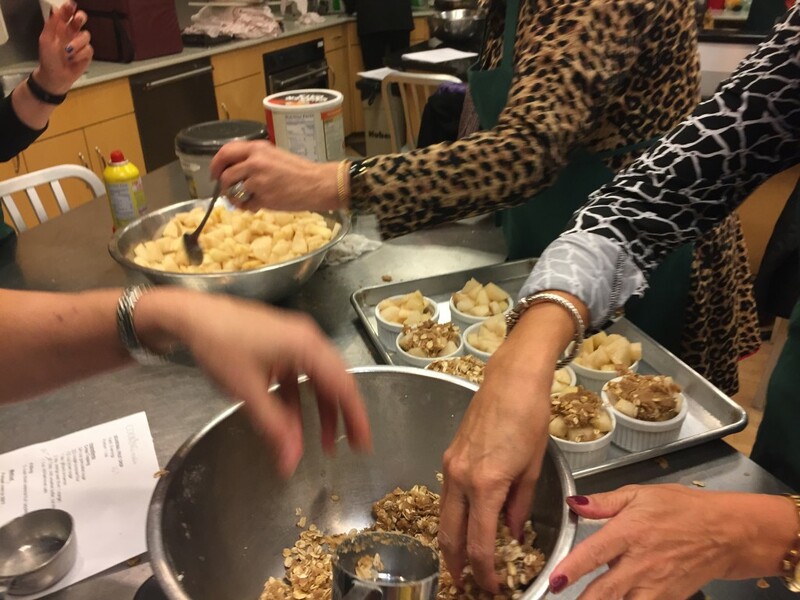 Susan, Debbie, Debbie’s friend, and Melissa were chopping pears and filling the ramekins with the oat mixture and the fruit. Awesome job girls! 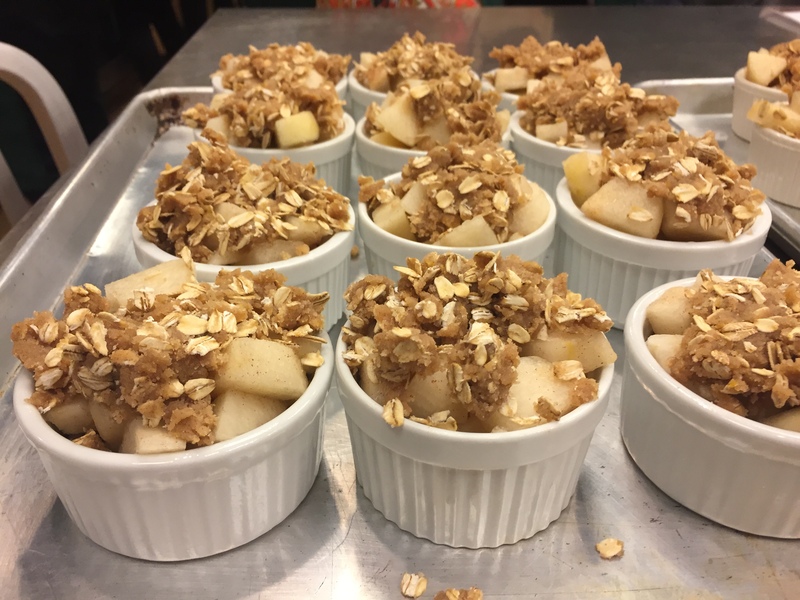 To make this dish you need to make an oat mixture and place (some of it) into the bottom of a baking dish, top it off with fruit (we used pears) and top with the remaining oat mixture and bake in 350 degrees for 40-50 minutes. Serve with ice cream to make it super yummy! 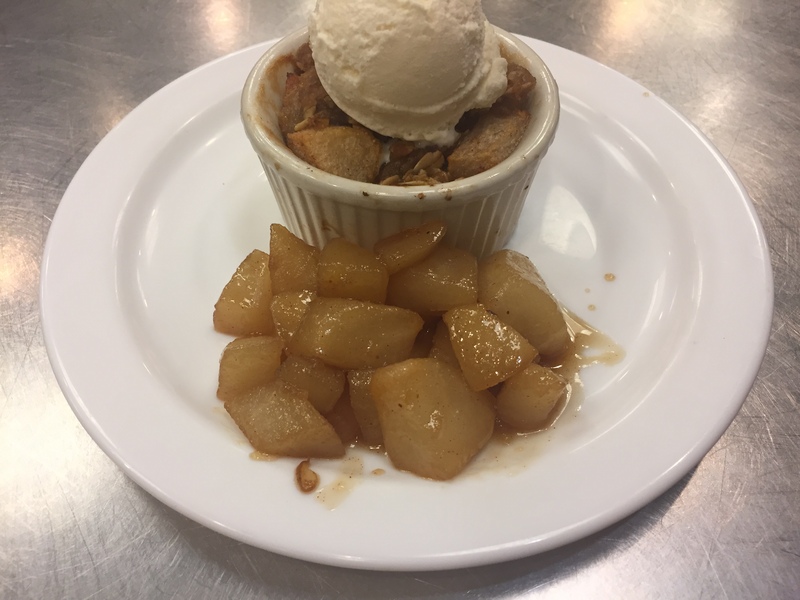 Individual fruit crisp were served with ice cream! We all had a great time and enjoyed a delicious meal! 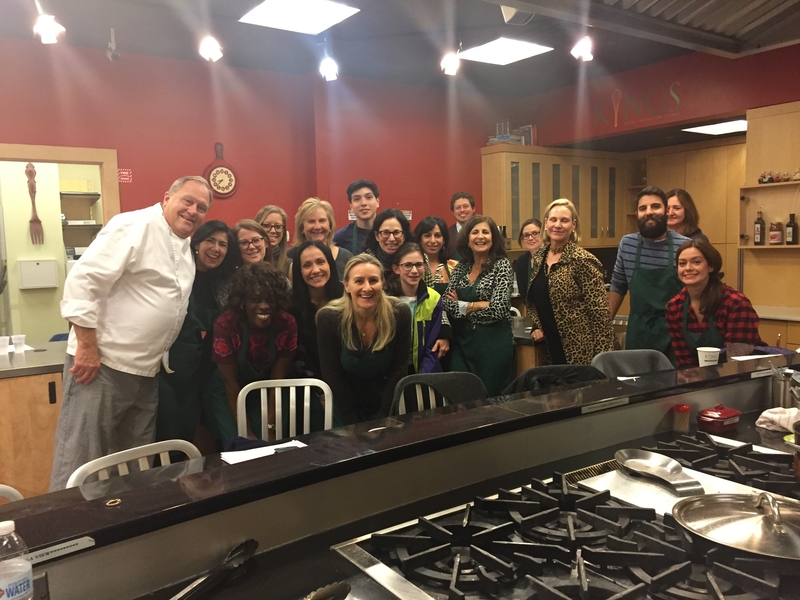 Thank you everybody for attending and thank you chef Blake for showing our members how delicious and fun healthy cooking can be. Such a fun time!! And delicious! Thank you Lina and thank you Kate for attending :). I really appreciate. This is wonderful! I love the pictures!